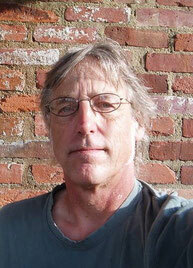 Rick Fordyce - Website of risingtidewriters! You never know what's going to happen until it happens. Rick Fordyce grew up in Seattle, Washington, in the shadow of Mt. Rainier. His long story "Away" was published by Crab Creek Review and nomiated for a Pushcart Prize. He is the author of the 2008 iUniverse novel, Glen, and his current book has been listed in the Cape Cod Times and reviewed by Seattle's City Living newspaper. He has lived on Cape Cod since 1985. I CLIMBED MT. 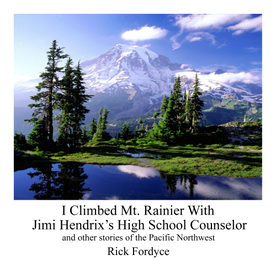 RAINIER WITH JIMI HENDRIX'S HIGH SCHOOL COUNSELOR - AND OTHER STORIES OF THE PACIFIC NORTHWEST: Nine fiction stories of the Pacific Northwest, the title story the account of the 1976 summiting of Mt. Rainier by the author and the former high school counselor of Seattle-born Jimi Hendrix. Seattle’s love affair with all things Jimi Hendrix continues unabated. Hendrix’s 70th birthday is Nov. 27, 1942. According to biographical information on the Web, Fordyce taught high school math and English in Africa in the late 1970s and is the author of a novel. As Fordyce and his instructors and fellow novices summit the mountain, the subject of Hendrix comes up. “I actually convinced him to drop out,” Hendrix’s former counselor tells Fordyce. “Not exactly what you’d expect from a counselor.” It's a surreal conversation on the mountain, to be sure. And then the subject is dropped. The rest of the stories, in the Hemingway-Carver-esque mode, captures the underlying angst of modern life, even in our beautiful, far corner. Still, that brief, high-altitude conversation nags: You may never look at Mount Rainier the same way again. There’s nowhere Jimi Hendrix doesn’t go. "You have to love the title of Chatham resident Rick Fordyce's second book (after "Glen"). A native of Seattle, Fordyce, who has been on the Cape for over 20 years, actually did climb Mt. Rainier during a weekend climbing seminar and one of the other participants was Jimi Hendrix's high school counselor. Beyond that, it's all about Fordyce's storytelling talent, which is considerable. He's currently at work on "On the Wide African Plain — and Other Stories of Africa."